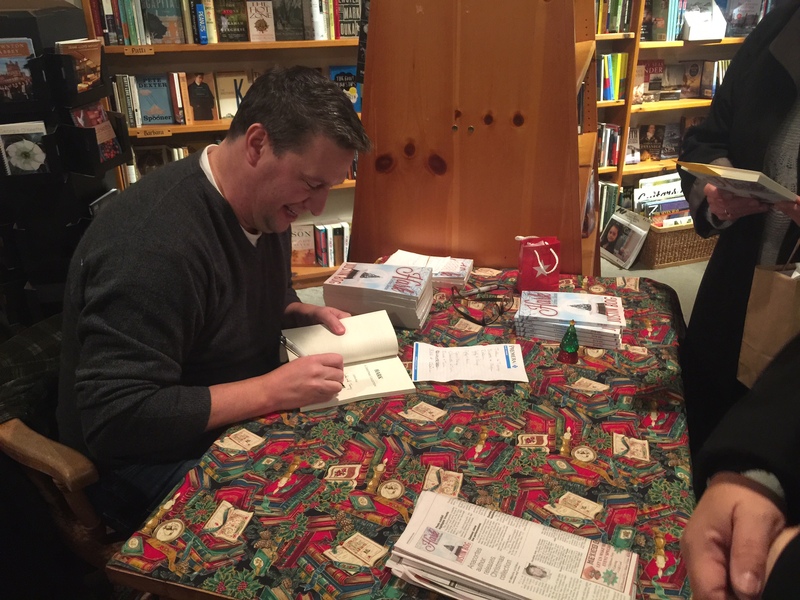 A wonderful weekend began with a book signing author event at Watermark Book Co. in Anacortes, Washington, my hometown bookstore. 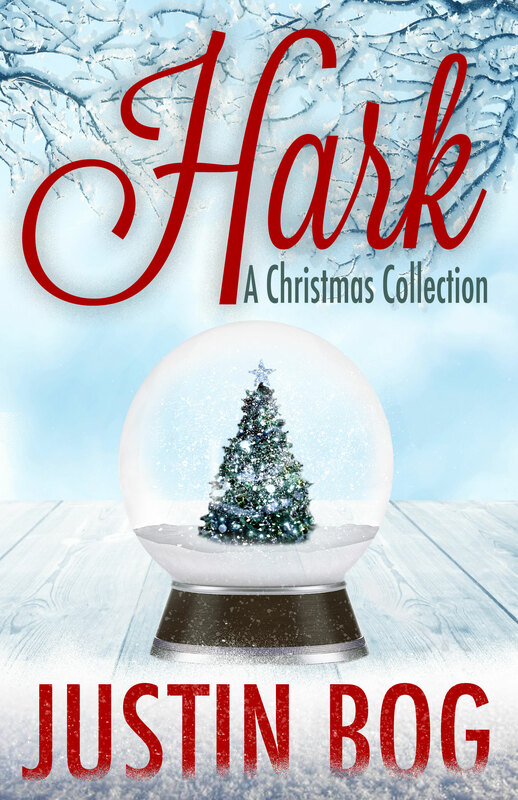 I couldn’t have been happier since Hark—A Christmas Collection is my very first book with Booktrope, a new kind of hybrid book publisher that a friend recommended to me after one of this year’s more challenging passages. I feel rejuvenated after a year or more of personal struggles and family tragedy. At some point in each of our lives, no matter how long or short, grief and loss will haunt us. For those who don’t know, I seldom wish to share bad news, personal fates less than optimistic—I save that kind of plot for my stories. Outside my own writing life, my immediate family was struck by huge events I couldn’t make up and write about as fiction. Weathering these lows will, I’m hoping, continue to build strength, kindness, and a way of not taking anything personally; I can only control what I do. 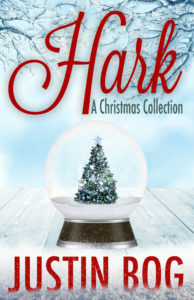 The tales in Hark—A Christmas Collection shed light on personal tragedies people face during the holidays. What happened to me? I lost my mother on October 30th, 2008. Hard to think she didn’t live into her seventies, and only enjoyed retirement as a middle school art teacher in the Granville, Ohio school system for three years. My father passed away on Halloween, October 31st, 2012, and he was wary of the end of October since his wife’s passing; they were together for 49 years, or two days shy of their November 1st anniversary date. My younger brother died on October 29th, 2013. And, I stopped writing after that, for a time. Losing three members of my immediate family on three consecutive calendar days is a whopper, and hard to wrap my head around. I will continue to fail in any attempt. In the new year of 2014, I began writing a weekly serial on this blog, A Play Demonic (The Queen’s Idle Fancy), for myself, first. I wanted to get back to basics. Begin anew. Write something that I would like to read and share with anyone who stumbled across it. I want to evoke a feeling in readers, emotion, a feeling of dread in this tale, a spark of remorse, hope, happiness, laughter, in other tales. I decided to separate from my old publisher in August of this year, and following The Four Agreements helped me get through this break-up. I dread confrontation, as most people do, and I vowed to place the needs of my old publisher first, ahead of my own needs and wants throughout the process. Whatever my publisher requested, I made sure my response was fair, and respectful, as it should be. They took a risk with me, and just because I am moving in a different direction, doesn’t mean they’ve lost my respect. I support Green Darner Press and their authors, their writing lives, their books, and always will. I made sure I was available at any meeting time, day, to speak about the separating costs (and no one likes to speak about financial agreements—it’s the number one thing married couples argue about); met for the final separation contract, negotiations that were interesting, and I survived it with nary a negative thought, and with a heightened civility and kindness towards Green Darner Press who gave me my first publishing opportunity; they took Sandcastle and Other Stories to great heights, garnering a Best of 2013 Suspense Anthology Award from Suspense Magazine and becoming a Finalist for the Ohioana Book Award. 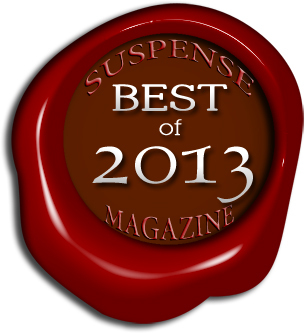 Sandcastle and Other Stories was chosen as one of six fiction finalists out of over 400 titles. That’s something that amazes me. My next psychological thriller, The Conversationalist, was also a wonderful moment, especially since one of my mother’s paintings was used as the book cover art. I have no regrets. Both books need to find a wider audience, and I hope the new Complete Editions coming out early next year, with added stories, and all new book covers, will catch your eye. The week after I separated from my old publisher I signed a contract with Booktrope for Hark—A Christmas Collection and began putting these stories together, writing one of the stories on the spot, based on the book cover a talented artist from Boston, Shari Ryan, submitted: Snow Globe, and then adding The Heralds almost at the last second as a bookend to the title story, Hark. I couldn’t be happier. The book signing was filled with friends and new readers who told me the book’s cover caught their eye, and I look forward to more moments like this to share with you. It’s the reader in any author’s life who matters the most, not the story, or maybe it’s a chicken and the egg situation . . . ha! Thank you for coming along on my writing journey. Please always let me know what you’re thinking, what story you have to tell . . . I hope you tell it. 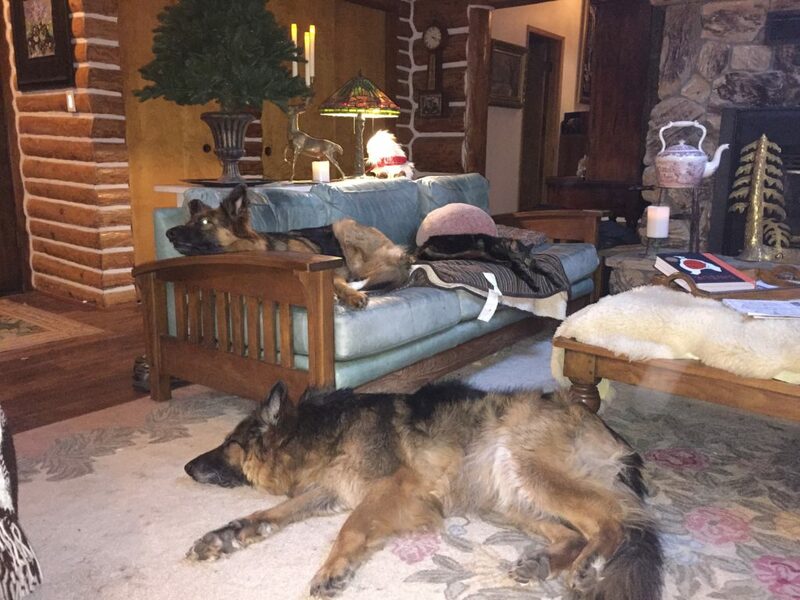 Here are more pics of the books signing and of the mutts and Eartha Kitt’n at Christmastime lazing about. They’re good at it. You are very talented, Justin, and I’m glad you’re writing again. 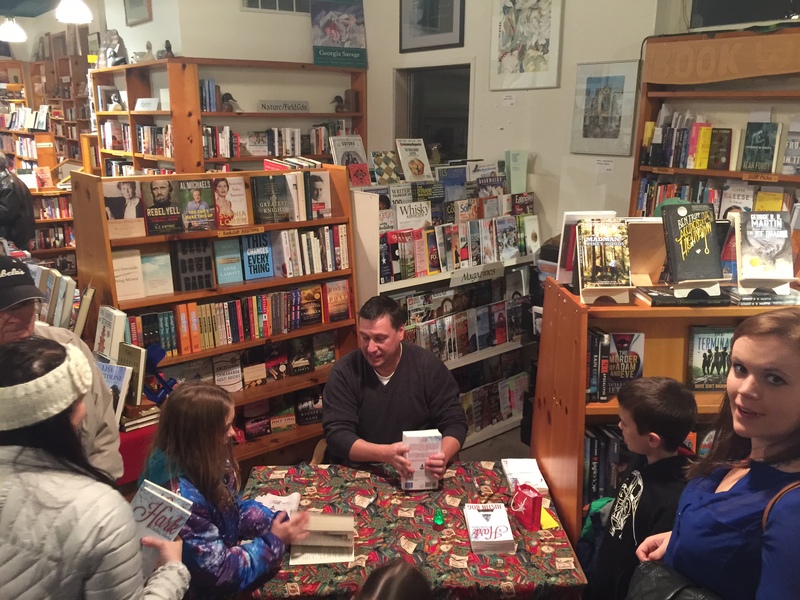 Here’s to many more books and signings! Thank you for your kindness and friendship, Ben. I am also getting so much out of your current blog posts on forming poetry…love reading your blog. We, Zippy and Kipling too, would love to meet up one fine day. England is on my bucket list, and so is meeting Bollo! Thank you very much. 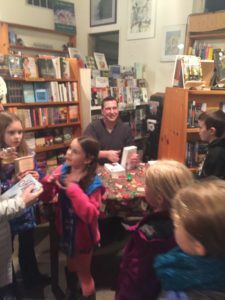 The book signing event was a writer’s dream come true. Nice people on this island. I’m so happy you’re writing again. You’ve been through so much this last year, and throw moving into the mix, I’m surprised you’re not curled up on the floor with a chocolate drip coming from your arm ;). You are an amazing person, Justin, and I hope the next year brings you joy and success. 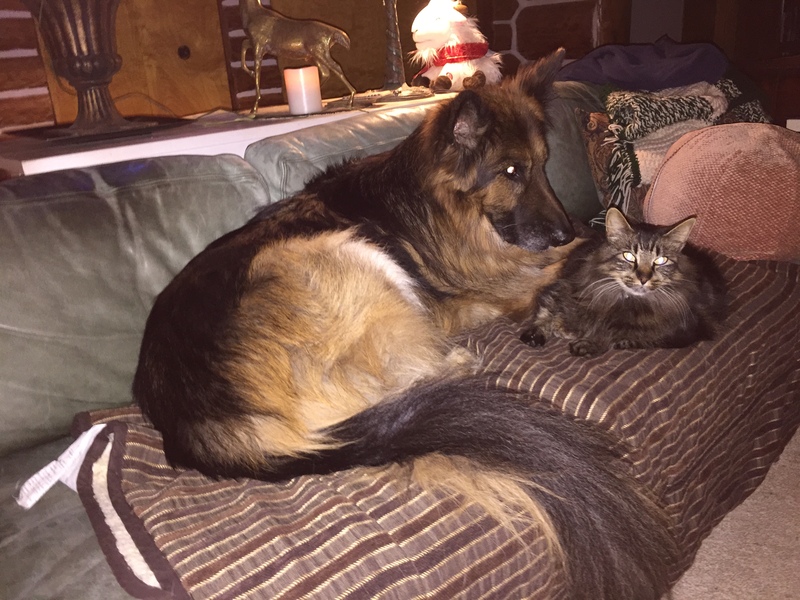 ….And look at the critters! 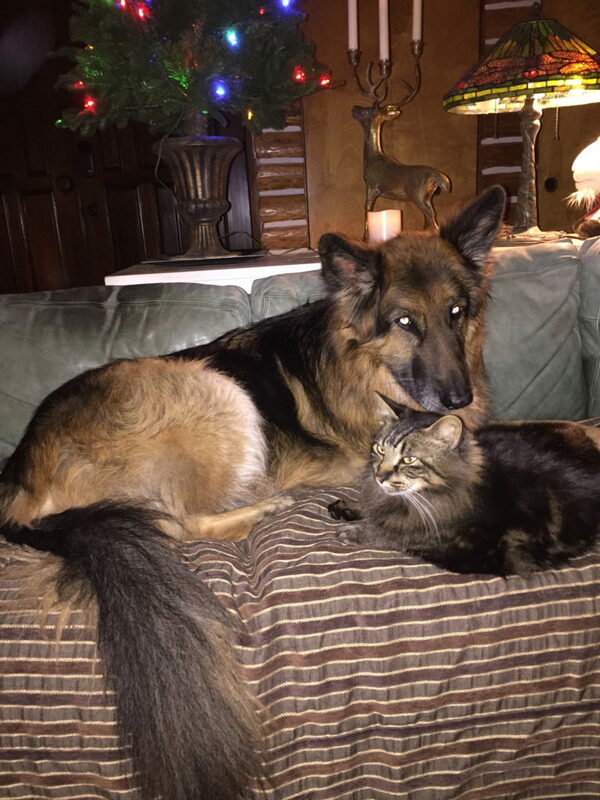 Holiday hugs and and warm wishes to all.